Mostly wild greenery,there are dozens of kinds of horta,full in vitamins,trace elements and antioxidants. 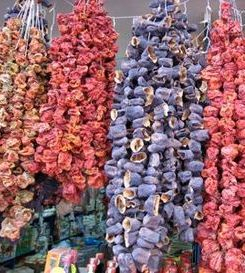 Horta are a part of Mediterranean cuisine for millenia and part of the culture too. Late winter to late spring it isn't unusual if someone goes for a walk- even in Athens's suburbs - to take along a small knife and a plastic bag to collect horta. You have to know which ones are edible and that's something grandmothers and grandfathers teach. And along with a little olive oil and a piece of bread, horta has saved many lives during famine or war times. 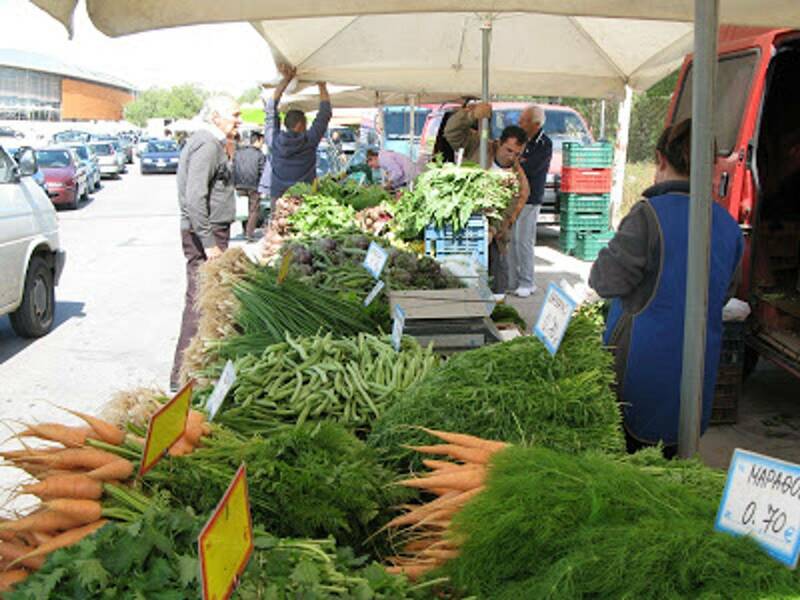 Zucchinis,artichokes, spring onions,strawberries,spring potatoes,cucumbers...and the king of Spring:HORTA!!! I tried to find the common names of some in English,I only managed to get the scientific in Latin...Some belong to the Chicorium group, some to the Sonchus one,one is black mustard, another is called Urospermum picroeides *sigh*...lets just say there are lots of different ones. Ala Polita, Which means Constantinople style, with spring onions ,potatoes, a few carrots, and a white sauce made with lots of lemon,dill, olive oil and a little flour or cornflour to make it thicken!!! Aromas of freshly ground coffee and spices drifting through the air; shouts of competing vendors as they trumpet the wonders of their products putting our hearing to the test; the smell of mezedes cooking over charcoal; people coming and going; a prevailing lack of order; the impression that all prices are negotiable in a temple of bargaining. 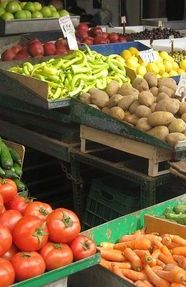 Central Markets exude an air of an Anatolian bazaar. 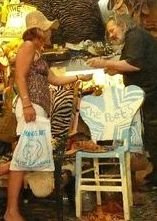 The Laiki market in Kypseli at Fokinos Negri has been immortalized in the movie FOR THE LOVE OF BENJI! 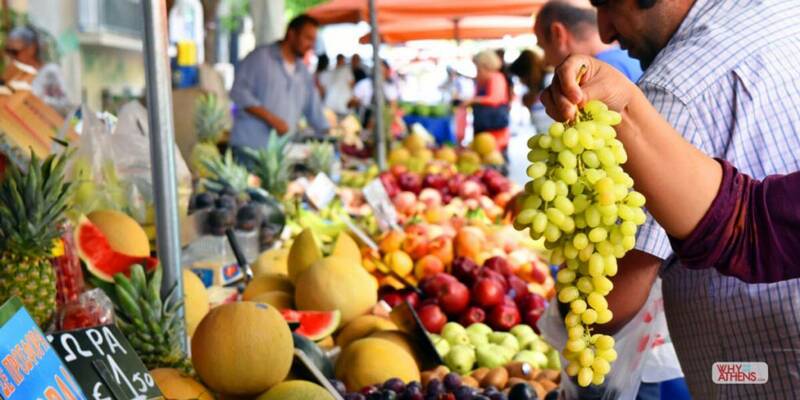 Unlike a supermarket where you can get just about any fruit or vegetable at any time of the year, the laki agora will be seasonal and what you see in the market in June won't be the same as what you see in February. 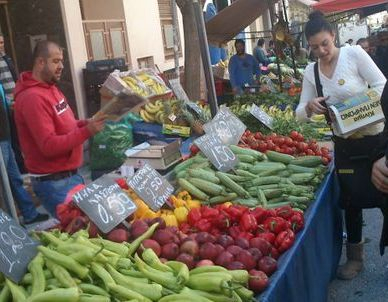 For those who are just visiting Greece and like to eat only seasonal food a trip to the market is a good way to know what will be fresh in the restaurants. 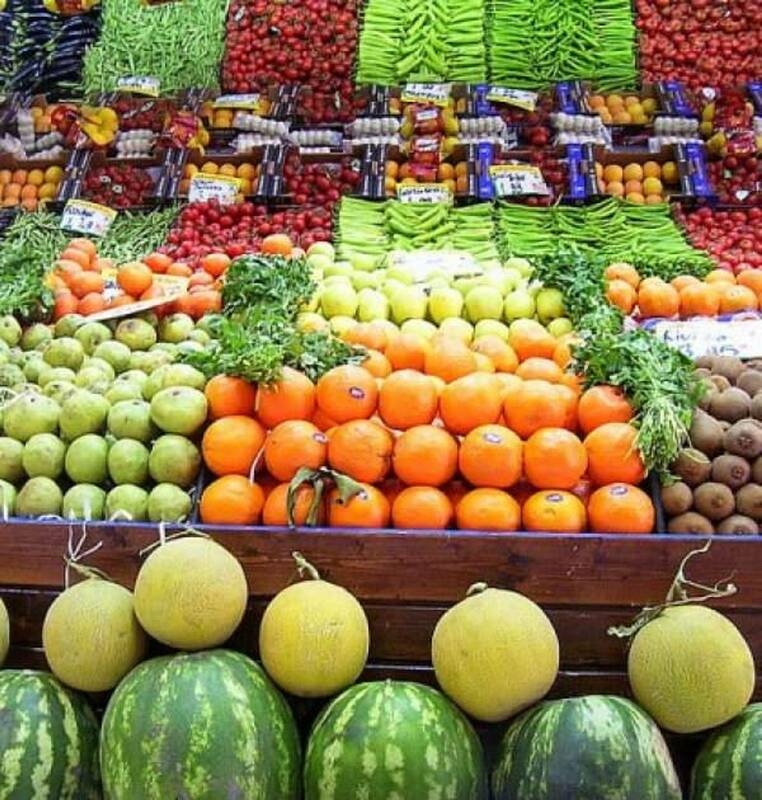 Greece has an ideal climate and geography to grow and harvest an ample variety of fruits and vegetables, yet still manages to squander some 731.27 million euros on imported goods in 2015 Outrageous becomes the fact that the same goods produced in Greece. 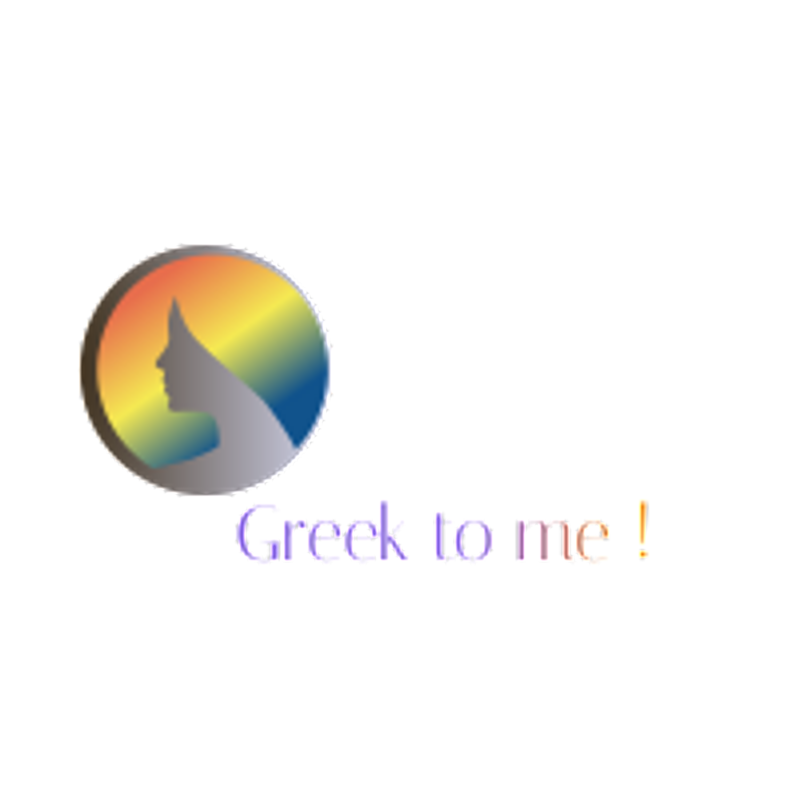 Also, although Greece has a tremendous stock of sheep and goats, meat was ranked eighth on the list of products imported to Greece. 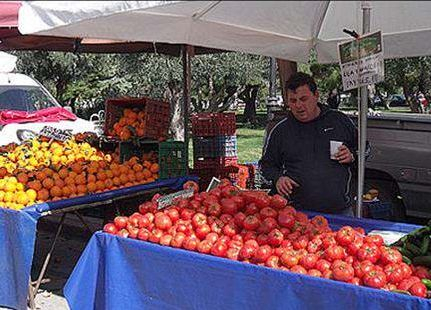 On Fridays in Platia Dexamani in Kolonaki from 9am to 1pm is an Organic market. 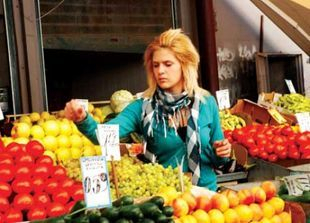 you can always go to the main city market on Athinas street between Monastiraki and Omonia, which is open every day except Sunday. 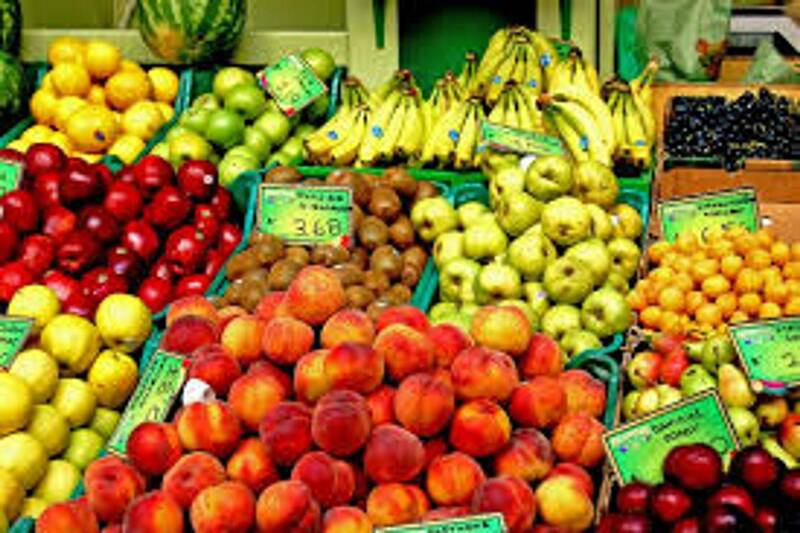 "the most impressive thing about the market were the fruits and vegetables themselves. They were bigger and brighter and healthier looking then anything I have ever seen or grown. Whether this had to do with the quality of the soil or fertilizers, I don't know. I am sure that some farmers use traditional methods and some embrace the wonders of agricultural technology but everything looked and tasted (free samples were everywhere) delicious.